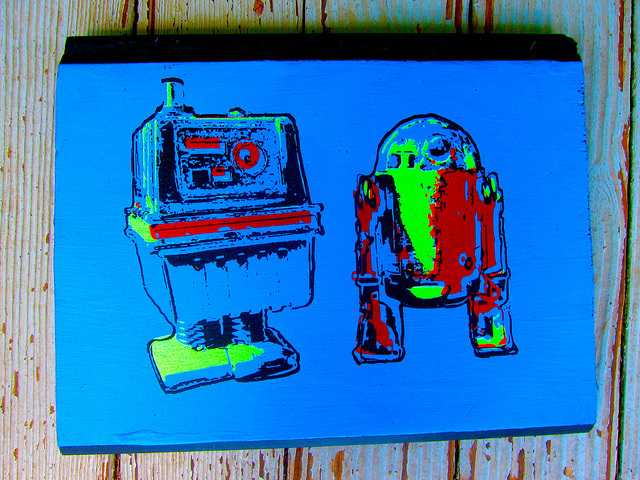 Jason Krekel’s art includes linocut prints, paintings and strange toy re-creations. Krekprints is the name Krekel uses for his linocut prints. It is true that he also exists as part of the Hand Cranked Letterpress Co. in Asheville NC (one of the original new wave of letterpress companies) with Lance Wille who taught him the fine art of linocut. As an appreciator of the folk art tradition, Krekel has incorporated the use of found objects in most of his pieces. He likes painting on wood panels and cedar shingles. Also, he has always had a fascination with custom toys and has been making them (to amuse himself mostly). You can buy Krekel’s art on at the Horse + Hero, 14 Patton Avenue in downtown Asheville. You can click here to see a photo gallery of his work.